A veteran British commander looks at the Partition from a military perspective, analyzing the thinking of and pressures on the politicians..
A veteran British commander looks at the Partition from a military perspective, analyzing the thinking of and pressures on the politicians, administrators and soldiers of 70 years ago and how the violence could have been prevented. Barney White-Spunner describes the partition as a "tragedy that was because the British had stayed on too long, probably unavoidable by 1947 but the violence and loss of life could have been reduced enormously had proper use been made of the armed forces". In 2008, White-Spunner was the military commander of British and Coalition troops in Basrah and the three other provinces designated by the Coalition authority in Baghdad as constituting the southeastern sector of Iraq. He says he has written "Partition: The Story of Indian Independence and the Creation of Pakistan in 1947" from a soldier's perspective. 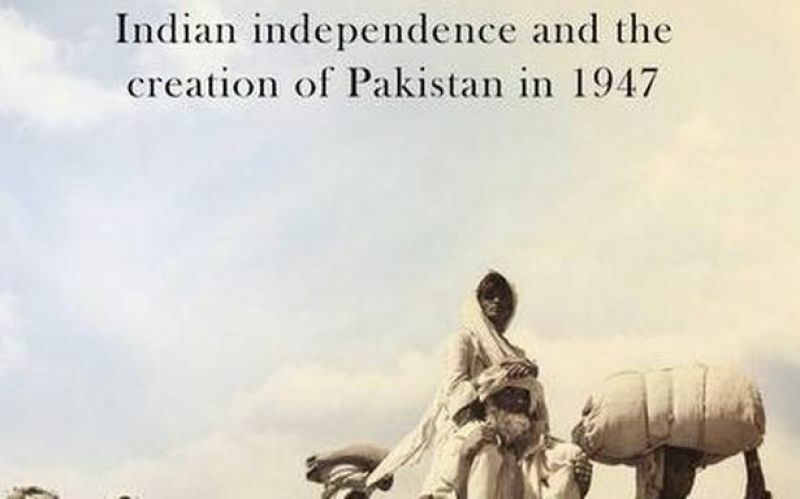 "It does not purport to be a full history of Indian independence and the birth of Pakistan. Such a study would be a lifetime's work, fill many volumes and is correctly best left to professional historians," he says. "Rather what I have attempted to do, as someone who has played a small part in British interventions around the world, is to explore the thinking of and pressures on the politicians, administrators and soldiers of 70 years ago, and the effect their subsequent actions had on the people of the Indian subcontinent," he adds. According to White-Spunner, given his background, he has a better understanding of the British players in this tragedy that he does of their Indian and Pakistani counterparts. "I don't hold with the view that only Indian, Pakistani and Bangladeshi authors should write about 1947. What happened is as much part of British history - and if British authors don't write about it then the UK will not face up to what happened. In particular, the military aspects needed researching and writing about in detail - they were so fundamental to what happened - and I am pretty well qualified to do that," White-Spunner told PTI. It took him about 28 months of researching and 8 months of writing to finish the book, published by Simon & Schuster. "While commanding British and Allied troops in Iraq, I found myself at that interface of political and military affairs whereby we were trying to make sense of political direction that was not always clear. I have had a life-long fascination for India and Pakistan and particularly for the events of 1947 so I found myself wondering how our forebears had reacted when faced with similar issues," he says. White-Spunner says he, in particular, was never able to understand why both the British and British Indian armies were not used more extensively in Punjab. "An effective military deployment, which was urged on the authorities in Delhi from as early as March 1947, would have prevented much of the violence. Why had this not happened? I also feel that although lots are written about Partition in India there is surprisingly little in the UK - just as there is surprisingly little about the events of World War Two in India and the Bengal famine," he says about the reasons he chose to write the book. According to him, one of the advantages of writing having had military experience, and especially military experience at that political-military interface, is that he is in a better position to understand what was going on between Claude Auchinleck and Lord Mountbatten and the Army and Congress. "It is the almost total lack of military initiative that was the cause of so much of the bloodshed; that is what needs exploring and my background means I can approach that with some idea of how armies and governments are meant to work together," he says. 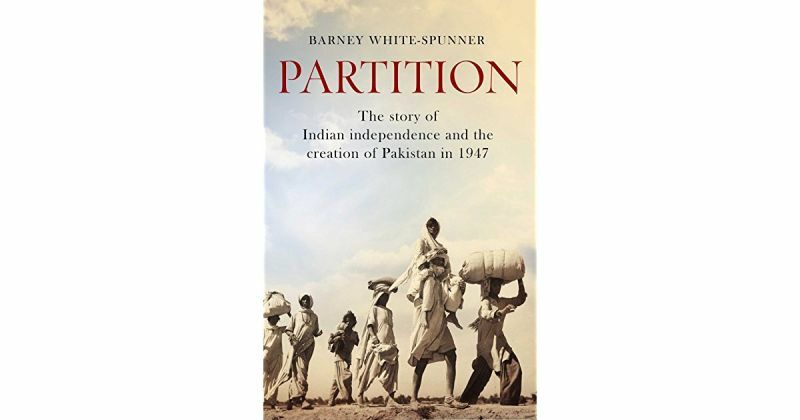 White-Spunner regards H V Hodsons' "The Great Divide", Ayesha Jalal's "The Sole Spokesman" and V P Menon's "The Transfer of Power in India" as the top three books on Partition. "Hodsons' 'The Great Divide' is to understand the British perspective. It is factual rather than exciting to read but very well researched as Hodson was Reforms Commissioner before Menon. 'The Sole Spokesman' is to understand the Muslim League. Jalal has got nearest to what Jinnah really wanted, and Menon is one of the unsung heroes of 1947. Trusted by everyone he seems to me to be the architect of so much of modern India," the author says. The author tried to balance his book between personal recollections and official government and military papers. "I was also helped greatly by access to family papers from descendants of Brits who were there. The most valuable personal reminiscences were those recorded (or written - but many were recorded) fairly soon after 1947 as events were fresh in peoples’ minds - and hearts," he says. He also dug out the full military records from the Army Headquarters in Delhi and from the Punjab Boundary Force which are in the UK. "They revealed a lot, such as that in 1946 the Army conducted a complete rehearsal of a breakdown of law and order in Punjab, right down to the detail of how they would protect trains." Educated at Eton College and the University of St Andrews, White-Spunner was commissioned in 1979. He was made Commander of the British Field Army in 2009, a post he held until December 2011 when he retired. He was appointed Commander of the Order of the British Empire in 2002 and Knight Commander of the Order of the Bath in 2011.